Elon Musk, billionaire founder of SpaceX, Tesla, and PayPal, leads a pretty amazing life. 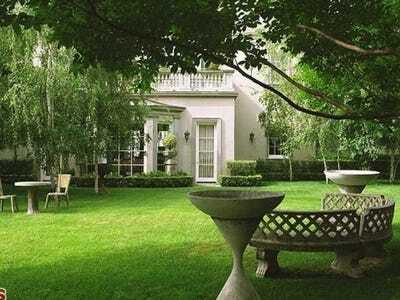 In January 2013, he spent $US17 million on a 20,248-square-foot mansion in Los Angeles’ Bel Air neighbourhood. 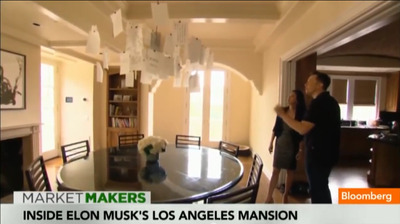 He and his five sons had lived in the house for three years, which Musk rented before he felt financially secure enough to buy. 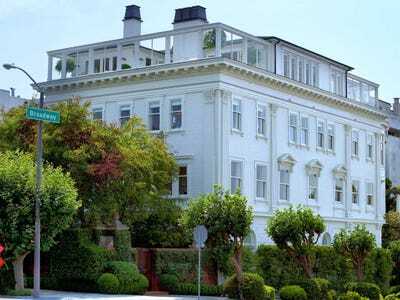 The home, which has seven bedrooms, a giant screening room, pool, and tennis court, is what you would expect from a man worth $US8.6 billion. 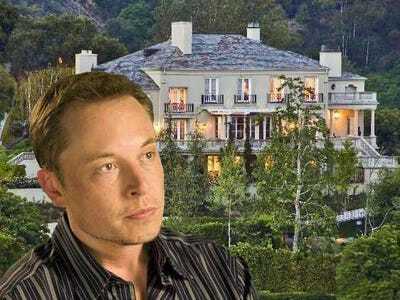 In November of 2013, Musk paid $US6.75 million for a ranch home located across the street from the mansion. No word on whether he plans to demolish the small house to combine the two homes into an even bigger estate. 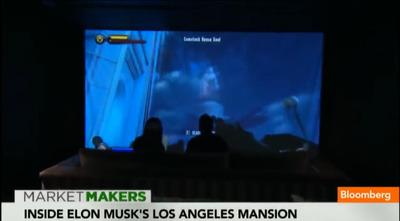 Musk's house is situated on a hilltop 1.66-acre plot in Los Angeles' ritzy Bel Air enclave. 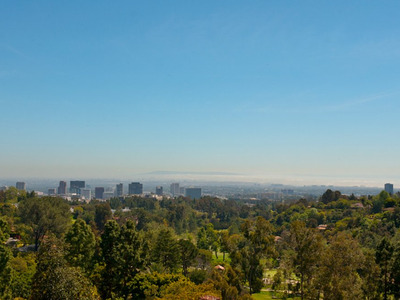 It overlooks the exclusive Bel Air Country Club. 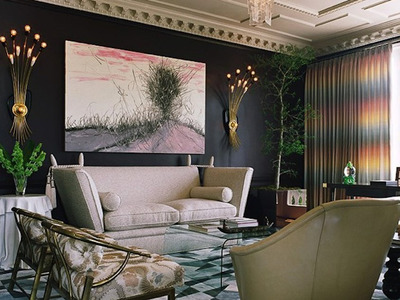 The house is enormous, with 20,248 square feet of space divided into different wings. 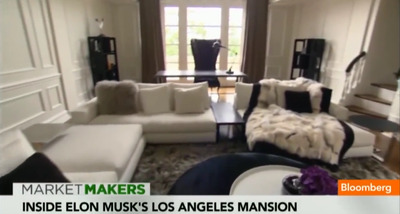 We could imagine the interiors have changed a bit -- Musk rented the house for three years before finally purchasing it at the beginning of 2013. But the house still looked super posh when Bloomberg paid a visit in August 2013. Reporter Betty Liu notes the mink throw blanket on this couch. 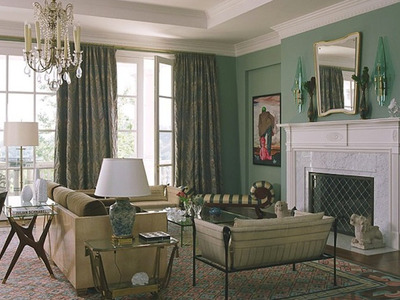 Here's another sitting room with gorgeous decor and crown moulding. The dining room looks spacious and formal. 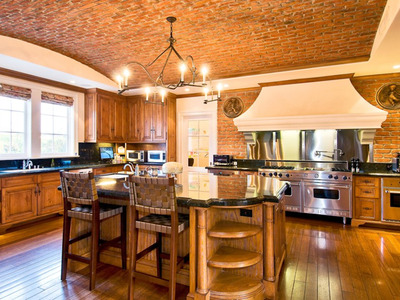 The kitchen has a brick ceiling and a large island. Musk added an interesting light fixture in the dining area. The home has a total of seven bedrooms and nine bathrooms. 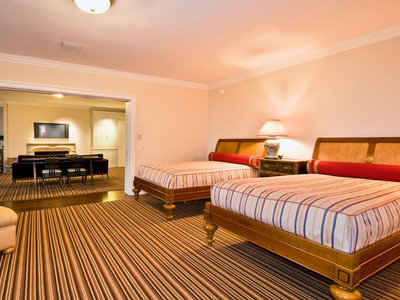 According to the listing photos, the master suite includes a bedroom and a lounge area. 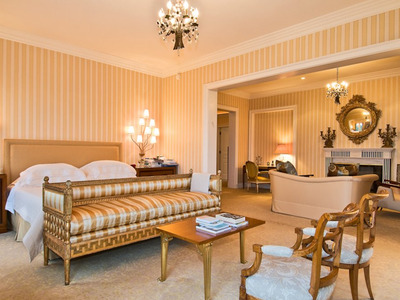 There are also separate his and her baths, plus two enormous closets. 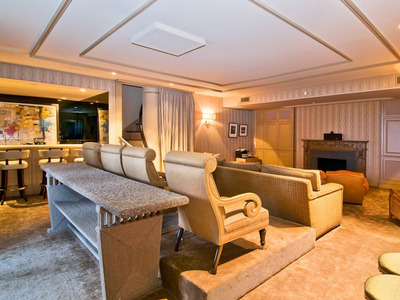 This area seems to be set up for home screenings and entertainment purposes. 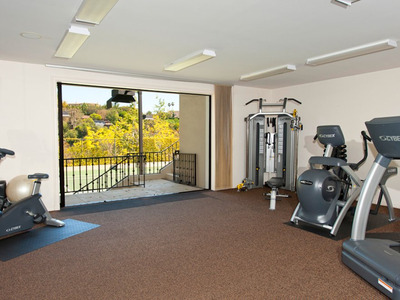 There's also a large home gym with access to the outdoors. 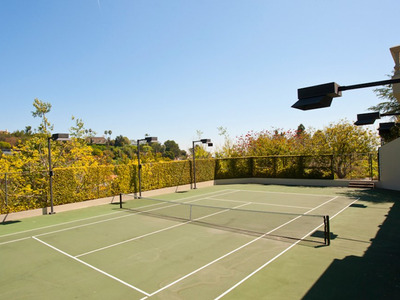 It overlooks the full-size tennis court. There's also a gorgeous heated pool and deck area. Now tour a mansion that just hit the market.